This book talks about community, blessing. This captivating account of the spiritually unexpected unfolding on a Welsh hillside will challenge and encourage you. In keeping with God's pattern of using marginal people from obscure places - fishermen, tax collectors, children, women and Galileans - this story sees God intrude into the mundane rhythms of life in a Christian retreat centre, run by a couple who would have been forgiven for opting for a quiet life when they arrived in this quiet Welsh hamlet. God's intrusion has not only sparked the growth of a House of Prayer but also touched many lives with healing, repentance and encouragement. The tangible presence of God has released visions of Jesus, angelic messengers and a steady stream of non-believers seeking to understand the encounter with God that they experience as they venture near this converted farmhouse. 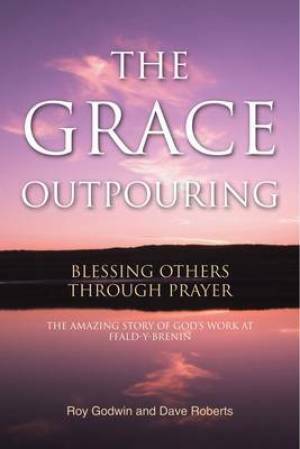 The multiple miracles will provoke the reader to wonder and worship but the book also imparts a fresh understanding of how the church might bless a community through prayer as a prelude to the breaking in of the Kingdom of God into every area of local life. A fresh perspective on evangelism emerges from this inspiring insight into how God might work in your community.